ActiveBatch® takes a Architectural Approach to IT Automation, simplifying the development and maintenance of end-to-end IT and business automated processes. The ActiveBatch Jobs Library contains production-ready integrations for IBM InfoSphere DataStage, PureData (Netezza), Cognos BI, and other IBM and non-IBM solutions. 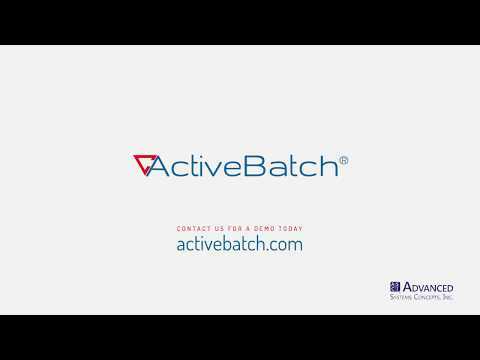 ActiveBatch is an industry-leading Enterprise Job Scheduling and Workload Automation solution. Visit www.ActiveBatch.com for more information.